In disregard of Occupational Safety and Health Administration (OSHA) regulations, the owner failed to provide shoring materials that would hold up the wall. In addition, the owner failed to provide these materials at the request of his employees–the ones who ended up either dying or becoming critically injured because of his negligence. District Attorney Gonzalez said that the young employee who was killed, “should be alive today. Construction site deaths such as his are becoming all too common as builders ignore safety protocols and hire untrained workers to maximize profits.” The defendant faces up to 15 years in prison if found guilty. While the employees who were injured, and the deceased employee’s family members, would have been eligible for medical and financial compensation and death benefits under normal circumstances, the employer failed to secure workers’ compensation insurance. Because of his criminal negligence and failure to procure insurance, they will be able to file personal injury lawsuits in place of receiving workers’ compensation benefits. What Does Workers’ Compensation Pay For Versus a Personal Injury Lawsuit? The employer displayed egregious conduct. You may receive workers’ compensation and sue your employer at the same time, though a lien will be put on the lawsuit or settlement by the insurance carrier. 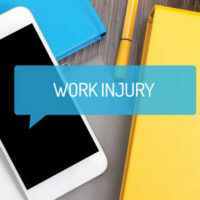 However, once your workers’ compensation case has been settled, you cannot file a lawsuit against anyone for your injuries, according to the New York Workers’ Compensation Board. If you believe that your employer has displayed egregious conduct in any manner, or that they intentionally caused an injury, call the White Plains attorneys of Law Office of Michael Lawrence Varon to discuss your options of workers’ compensation benefits as well as the possibility of a simultaneous lawsuit.